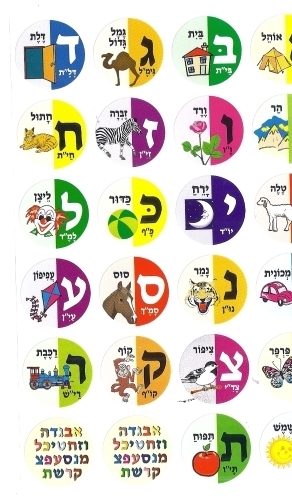 Pictorial aleph bet stickers aleph bet fun! Colorful round aleph bet stickers with corresponding words and pictures. Great for home or school!